Breweries and brewpubs are as much a part of Fort Collins as the surrounding prairies, mountains and canyons. With near-constant blue skies, relatively flat terrain and more than 280 miles of bike trails and lanes, bikes and beer are natural companions in this town. 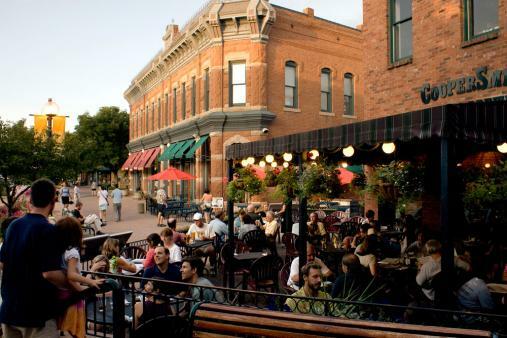 In fact, Fort Collins produces 70 percent of all craft beer in Colorado, so whether you ride a cruiser, fixie or just a plain old bike, hop on, grab your ID and get pedaling! Pick up your method of transportation for the day at one of Fort Collins Bike Share's stations around town, which allow visitors to rent bikes out 24/7 and return them to the station of their choice. Then, kick-start your morning in Historic Old Town (the inspiration for Disneyland’s Main Street) and ride up to Bean Cycle Roasters, where you can sip a steamin' cup of ethically sourced, freshly roasted coffee and peruse books at Wolverine Farm Publishing in the same building. Other places to investigate Fort Collins’ exploding craft-coffee arena include Harbinger Coffee, Bindle Coffee and Everyday Joe’s. Located northwest of Fort Collins, the rustic mountain village of Red Feather Lakes is far from hectic city life and popular with campers and boaters. 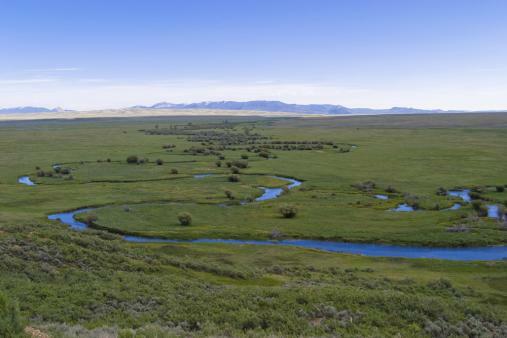 Surrounded by the 612,000-acre Roosevelt National Forest, the area is a year-round outdoor playground that offers beautiful scenery, diverse wildlife, hiking trails and cozy mountain retreats. Spend the morning exploring Old Town’s shops and galleries. 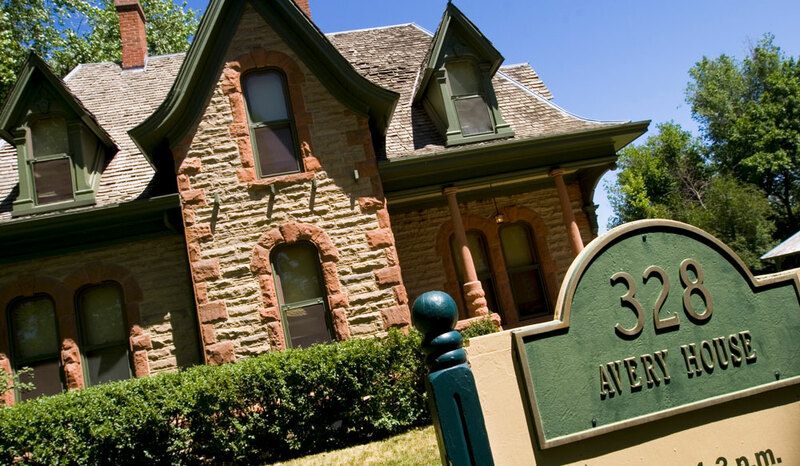 Historic homes like the Victorian-style Avery House and the adobe Museo de las Tres Colonias tell stories of gold seekers, immigrants and sugar beets. Or get an art fix at The Downtown Artery, an eclectic arts space with a cafe, performance venue and retail store selling items produced by the painters, musicians and other artists in residence. For lunch, stop into Ginger and Baker in the historic Northern Colorado Feeder Supply building, a new foodie haven replete with a coffee and pie shop, and two restaurants as well as a small retail store, wine cellar, tasting room, teaching kitchen and rooftop bar. Jessup Farm Artisan Village also boasts locally crafted goods from coffee, bread and barrel-aged beer to watches, photography and clothing, along with a few places to grab a bite. These offerings are a couple of the reasons the city was named a Certified Colorado Creative District. Stop by the Fort Collins Museum of Discovery, focusing on the history of science and the science of history. From here, hop on the Poudre Bike Trail and point your handlebars east. 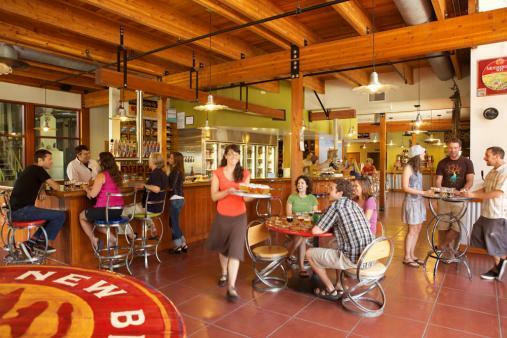 Odell Brewing and New Belgium are cherished breweries within very short pedaling distance of each other. Most of the city’s breweries offer free tours and tastings — pick up a tasting journal from the Downtown Visitor Center to guide you through Colorado’s Craft Beer Capital. If you’re craving beaches more than beer, visit Horsetooth Reservoir. Red-stone cliffs flank the 6.5-mile lake, a favorite of hikers, bikers and rock-climbers. Or hop in a raft to ride the Class III and IV rapids down the Cache la Poudre, Colorado’s only nationally designated Wild and Scenic River. Or drive the Cache La Poudre/North Park Scenic Byway and look out at thick national forest and the tumbling river as you twist up the canyon. Thanks to 50 protected natural areas, the Fort is also a haven for birders, with the Fort Collins Audubon Society offering free field trips year-round as well as the Nature Conservancy’s guided birding hikes in the Phantom Canyon Preserve. Goose Hollow and Tanglewood are two new natural areas open for exceptional birding and raptor and other wildlife viewing. Check out Avuncular Bob’s Beerhouse, which charms patrons with rotating draft brews and fresh bites made with ingredients sourced in northern Colorado. To satisfy your cheese fix, check out The Fox and the Crow, a spot that sells artisanal cheese and meats from farms in Colorado and all over the world; or quench your thirst at Red Truck Beer Co., the newest addition to Fort Collin’s brewery district. Ideas for sweet treats abound: Check out Nuance Chocolate, which makes small-batch chocolates from beans that are roasted and ground on site; Revolution Artisan Pops uses locally sourced ingredients to create its frozen treats; and The Churn in The Exchange — a new food, entertainment and retail space — has creamy goodness from the makers of Denver’s beloved Little Man Ice Cream. See what band is playing at the Aggie Theatre or, on select Thursday summer evenings, head to New Belgium for the Bike-In Cinema Series — riders spread out on blankets beneath the stars to sip beer and watch a movie. You can also catch a riverside concert at Mishawaka Amphitheatre; see a concert at Washington’s, a recently renovated venue housed in a historic 1903 building; or check the schedule at the new Elizabeth Hotel, which pays tribute to the city’s deep-rooted music scene with everything from jam sessions to live jazz at the rooftop bar. For those seeking starry skies, Red Mountain Open Space, Horsetooth Mountain Open Space and Soapstone Prairie and Coyote Ridge natural areas are just a few stellar places to spot far-away galaxies. The Northern Colorado Astronomical Society and Stargazer Observatory also host public stargazing events throughout the year. Winter sends Fort Collins’ active residents into neighboring Roosevelt National Forest for cross-country skiing, snowshoeing, ice fishing and even snowy horseback rides.